Items for Sale - contact us for more info on these great items. 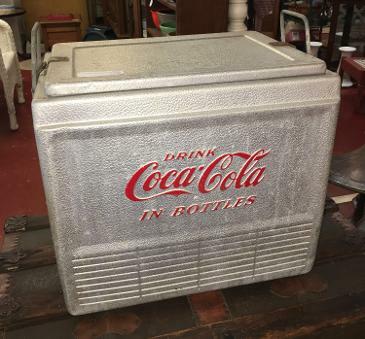 VINTAGE COCA-COLA COOLER, PRICED AT $155. OUR DEALER #19 HAS A NICE SELECTION OF JERSEY SHORE BEACH TAGS AVAILABLE. WE ALWAYS HAVE A FEW NICE PIECES OF ANTIQUE STONEWARE. DOZENS OF INTERESTING ITEMS FOR YOUR GARDEN FROM DEALER #50. 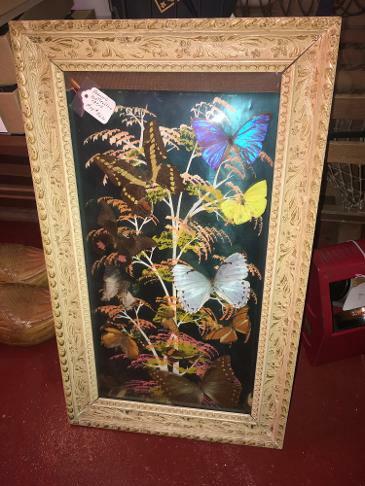 PRETTY FRAMED BUTTERFLIES, $32 FROM DEALER #14. PRETTY AND USEFUL COPPER WASH BOILER WITH LID FROM DEALER $6, PRICED AT $99. 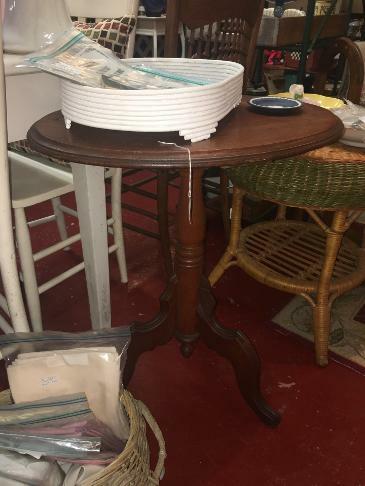 NICE SMALL OVAL TABLE, $60 FROM DEALER #13. 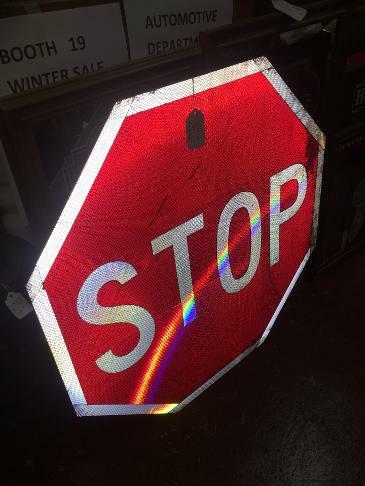 GREAT, LARGE STOP SIGN FROM DEALER #19. 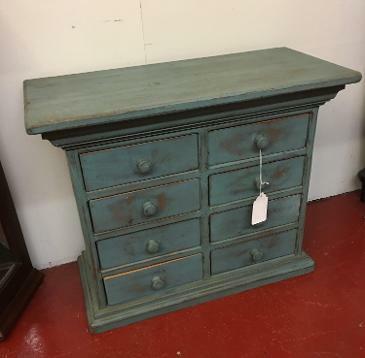 ADORABLE SMALL SIZE BLUE WOOD CHEST, $150 FROM DEALER #52. WE HAVE LOTS OF ANTIQUE CUT GLASS NOW! 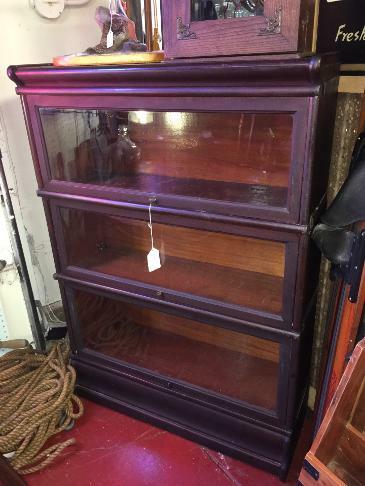 MAHOGANY 3 STACK BARRISTER BOOKCASE, $325 FROM DEALER #14. 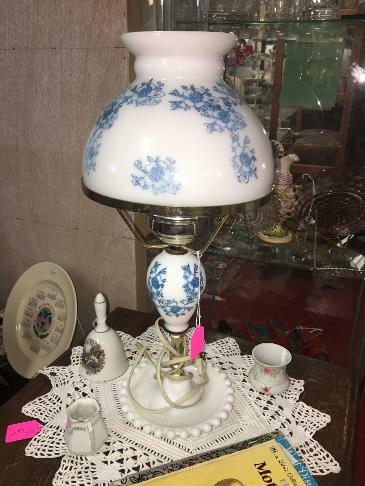 NEAT MID CENTURY MODERN LAMP FROM DEALER #61. DEALER #6 HAS A SELECTION OF VERA BRADLEY BAGS. 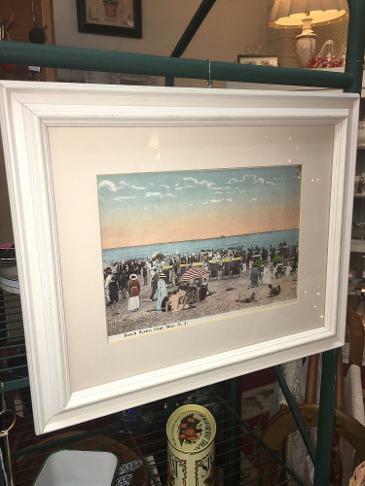 CAPE MAY ARTWORK FROM DEALER #52. VICTORIAN HANGING SHELF, $22 FROM DEALER #6. THIS IS WHAT A $10 LAMP LOOKS LIKE FROM #121.